Have no space to store the seized cash and vehicle, taxmen informed TS cops. Moreover, the I-T department has washed its hands off the Rs 8 crore after it gave a clean chit to the saffron party on Thursday, saying “there is no Income Tax angle” to the whole affair. Hyderabad: The Income Tax department deals with monies running into hundreds and thousands of crores. But when it comes to the money of the BJP, it looks like the department has a different set of rules. Since the last four days, the Rs 8 crore cash belonging to the BJP, which was seized by the Hyderabad city police on April 8, is lying at an undisclosed location, under the watch of the city police, after the Income Tax department refused to accept it citing “'lack of space” as the reason, something that is both strange and unheard of. The ball is back in the court of the Hyderabad city police, who now say they will take legal advice before proceeding further, even as officials opine that a case of model code of conduct violation can be booked against the BJP. 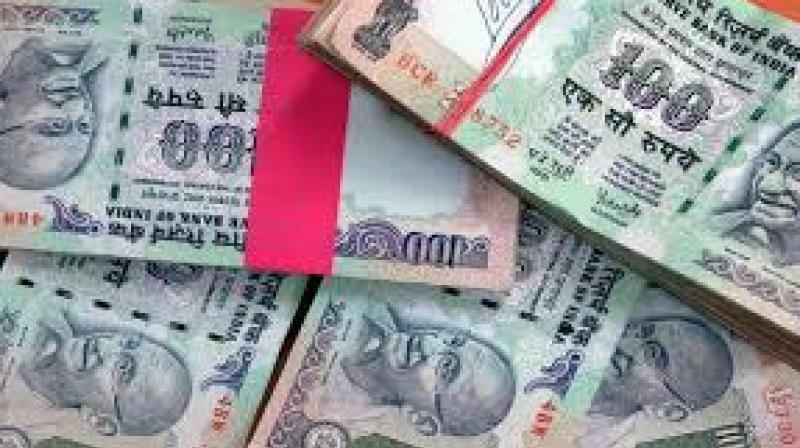 Sources told this newspaper that soon after the money, in the denomination of Rs 2,000 and Rs 500, was seized on April 8, the Hyderabad city police had announced that the money would be handed over to the I-T department as per procedure. The car in which the money was being transported by the BJP workers too was seized. I-T department replied that it “did not have the place” to keep it and instead asked the police themselves to keep it in safe custody. “The I-T department told us that they have no place to keep the money and the seized car and asked us to keep it in safe custody. But there is no problem. It is as good as being in the custody of the I-T department,” Central zone DCP P Vishwaprasad told this newspaper, trying to justify the I-T department’s refusal to take charge of the seized cash. He said had there been an FIR registered against those involved, the cash could have been deposited with the Court. “But there is no FIR in the case,” the DCP said. All Income Tax offices have huge strong rooms where they store the seized money before handing it over to the Court. “It is obvious that someone was jittery because the cash belonged to the BJP and they did not want to take it upon themselves,” officials said. But it does not end here. Now that the ball is back in the court of the Hyderabad police, they are seeking a legal opinion on how they should proceed further. Sources said that though there might be no I-T angle to it, it does amount to violation of the model code of conduct in force during elections. It remains to be seen whether the police will book a case for violation of the model code against the saffron party. “A candidate contesting Lok Sabha can spend between Rs 50 lakh and Rs 70 lakh, depending on the state they are contesting from, while the ceiling for assembly election is between Rs 20 and Rs 28 lakh. But what was the purpose behind BJP transporting Rs 8 crore in cash and that, too, just days before the polling? It is a MCC violation,” said sources adding that no amount of justification by the party can explain this. Moreover, sources said that it was quite strange how bank officials permitted withdrawal of Rs 8 crore in one transaction. Sources said that both the I-T department and the Telangana state police are under immense pressure to release the amount at the earliest.